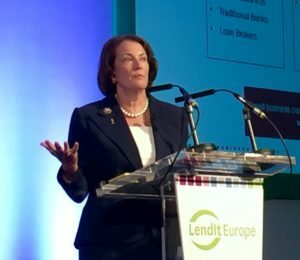 Senior Fellow at Harvard Business School Karen Gordon Mills along with VP of Strategy at Fundera , Brayden McCarthy , have recently posted a working paper on SME lending. Mills is also the former Administrator of the Small Business Administration – a post she held during the Obama administration just as the economy was struggling to emerge from the Great Recession. The new working paper is a follow-up to their 2014 research , where they highlighted the gap in access to credit — in particular, small dollar loans that are under $250,000. A crucial segment of lending for small business. The intent is to highlight the obstacles and opportunities for SMEs, online lending, and regulatory bodies. Small business in the US, like most other countries, generate the bulk of economic activity and job creation. A robust ecosystem of access to capital for SMEs is vital to the nation’s interest. 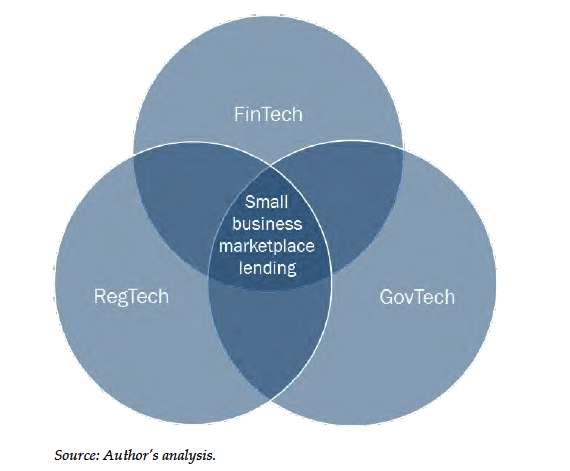 Mills and McCarthy explain the evolution of the small business lending marketplace to date. The first phase of online lending to SMEs is dubbed the “ wild west ” and covers the past several years when the online lending market first popped up and companies reached record valuations on the public markets. New entrants included balance sheet lenders (OnDeck and Kabbage), P2P platforms (Lending Club, Prosper, and Funding Circle), multi-lender marketplaces (Fundera, Lendio, and Intuit), invoice and payables financing (Fundbox, BlueVine, and NOWaccount), payments/e-commerce platforms (PayPal, Amazon, Square), and data providers. This current phase is transitioning into a new one, as conversation about disruptive Fintech firms threatening to take over traditional banks come to an end. Instead, leading companies have run into problems and traditional players have developed partnerships with online marketplaces to consolidate customers, marking the second phase to the state of small business lending. As this new small business lending marketplace becomes more entrenched alongside traditional institutions, one cannot ignore the regulatory side. The “spaghetti soup” of current regulatory bodies and laws involved has so far turned a blind eye to small business lending, but that reality will not continue for much longer — especially as bad actors emerge and regulators aim to prevent another subprime market challenge. Currently, U.S. regulators include The Federal Reserve (Fed), The Office of the Comptroller of the Currency (OCC), The Consumer Financial Protection Bureau (CFPB), The Securities and Exchange Commission (SEC), The Federal Deposit Insurance Corporation (FDIC), The Federal Trade Commission (FTC), and the National Credit Union Administration (NCUA). 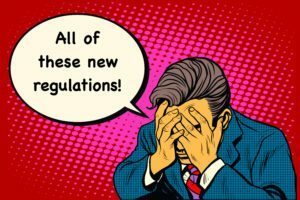 The list of regulators does not include legislation that currently exists or may come out of Congress. Set Universal Rules and Guidelines to Strengthen Borrower Protections. An important precondition of a national charter should be the creation of new rules, universally applied, that create borrower protections for small business borrowers. Develop Joint Guidance on Third-Party Vendor Management. Partnerships between banks and new entrants are already emerging, and are likely to grow, provided that regulators allow it. Brokers Should Respect Fiduciary Duties. As with mortgage brokers, and more recently with investment brokers, loan brokers offering individualized advice should act in borrowers’ best interest, respecting fiduciary duties of disclosure, loyalty, and prudence. Shine a Light on Borrower Outcomes by Mandating Disclosure of Originations, APRs, Default Rates, and Borrower Satisfaction Across the Small Business Lending Market. This would entail collecting specific data from market players on their small business loan transactions, such as average APRs and default rates. Policymakers will have to ensure that new and existing SME regulations do not suppress growth and allow for continued innovation, especially during uncertain political and economic times. Support for SMEs, however, has typically been a bipartisan issue; Washington should take advantage of that fact. The country continues to debate the progress of our democracy, economic recovery and monetary policy, social issues, and foreign policy’s bilateral and multilateral relationships. While this debate is important, the health of U.S. small businesses that is at the center of entrepreneurship should also be at the top of all policymakers’ list of things to address in the coming years.